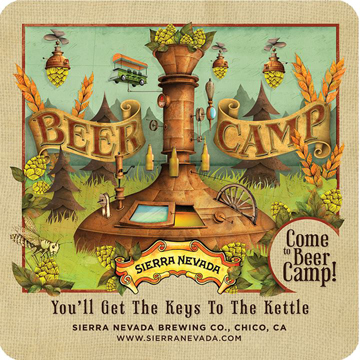 The second day of my beer journey saw me driving almost all the way across the beautiful state of California (from Reno, Nevada to Chico, California). So it was no surprise that by the time I made it to Sierra Nevada I was hankerin’ for a beer. More specifically for a beer with some hops! Being that I don’t get up that way very often I wanted to try something that I hadn’t had before and probably wouldn’t get access to again. I scanned the back page of their beer menu and saw a Black IPA that caught my eye. It was part of their Beer Camp series, so I knew that this might be my only chance. With the sun setting I made my first beer order. CLEAN SWEEP is a Black IPA with a simple 3.5% ABV. 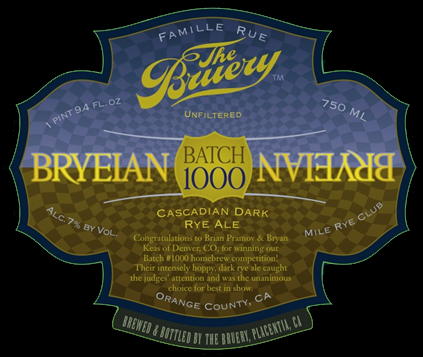 The Cascadian Dark Ale/Black IPA is a style that is becoming very popular in the craft beer scene as of late. 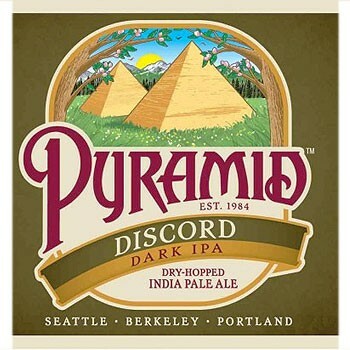 Considering that the beer originated in the Pacific Northwest it’s not too surprising to see Pyramid Brewery brewing a beer in this style (they’re were one of the first craft breweries in the area). DISCORD DARK IPA is a Cascadian Dark Ale with 69 IBUs and a 6.5% ABV. After leaving the Stone Brewery I made my way to Vista, California to check out Mother Earth Brew Co. I rolled into the parking lot without about one hour left before they were to close, so I knew I was going to have to go straight for the good stuff. I made my way to the counter and scanned the beer board… and THE CRUCIBLE called out to me. Pitch Black IPA is a seasonal beer (January-April) from Widmer Brothers Brewing. This American Black Ale/Cascadian Dark Ale/Black IPA has 65 IBUs and 6.5% ABV. Hop in the Dark is one of the new seasonal beers from Oregon’s Deschutes Brewery. This Cascadian Dark Ale/Black IPA/American Black Ale is available May-September, has 75 IBUs and has an ABV of 6.5%.